The Knicks picked up a win Monday by reversing their recent trend of falling way behind and seeing a furious comeback fall short at the end of the day. They ran up a big lead on the Pistons, blew it and then recovered for a 99-91 victory. 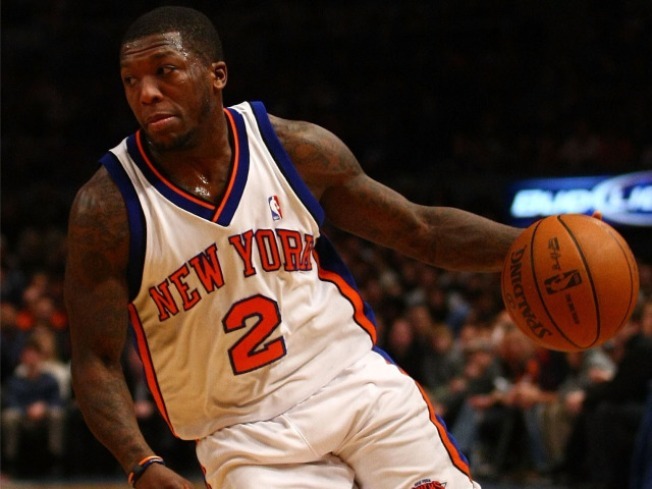 The main driver in the win was Nate Robinson, whose contributions were, as always, welcomed and troubling in equal measures. Why they were welcomed should be easy enough to figure out, but they were troubling because he's essentially the top point guard on the team right now. The same player who was benched for 14 games because he plays basketball with an attention to detail that could generously be described as lax is now charged with running the offense for a team with playoff aspirations. That's a bit scary and it illustrates, once again, the curious situation the Knicks find themselves in this season. Chris Duhon would make a fine reserve point guard. He might even make a reasonable starter if you had a backup more suited to playing the point than Robinson. The Knicks don't have one of those, of course, and that's why they find themselves stuck between a rock and a hard place halfway through the year. They can't keep going with Duhon holding the team back and they can't expect anything more from a veteran player who Mike D'Antoni freely admits "loses confidence easily." Just what you're looking for in the guy charged with leading your team. Duhon missed all three shots he took on Monday and turned the ball over four times in 20 minutes. That caps a six-game run that's seen him go 6 of 32 from the floor with 28 assists and 16 turnovers. Players have slumps and Duhon isn't quite that bad, but he isn't much better either. He's a poor outside shooter who only shoots from the outside because his confidence problems seem to stop him from hitting layups when he drives the ball to the basket. A team with no better in-house options would normally be looking for an upgrade. The Knicks can't really do that, though, because they won't take on any salary beyond the end of this season. We've been round and round this point a million times and there's absolutely no reason to go back on it now. There are a few point guards with expiring contracts and the Knicks could certainly part with Larry Hughes, but none appear to be much of an upgrade on Duhon. Changing for the sake of changing is pretty appealing at this point, however, because the thought of Robinson as point guard for the next 41 games is fraught with danger.